Cooler Master unveils its newest addition to the MasterBox Series – the MasterBox Lite 5. It offers a plethora of gaming-oriented features allowing builders to build high performance setups with a modern gaming exterior look. The MasterBox Lite 5 features a DarkMirror front panel that accentuates any LED illuminated cooling fan installed behind it. 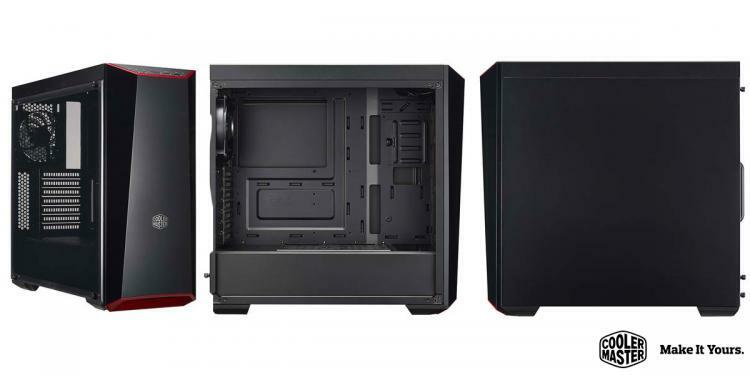 The MasterBox Lite 5’s interior and exterior has a black coating, complete with cable management features and a power supply shroud to hide all the cabling for a neater and more appealing interior look which can be viewed through the windowed side panel. 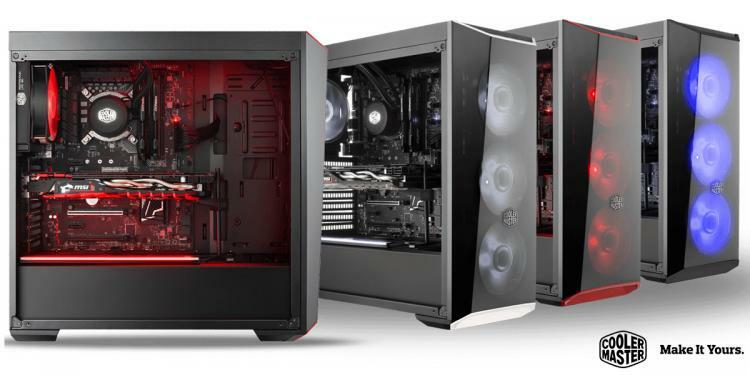 The case offers customization options that addresses the unique preferences of each builder out there. The front panel trim is customization of up to three different colours thus expanding the theme colour options of the chassis. The dark tinted window panel on the front of the chassis gives a unique and cool look to the case particularly when installed with LED cooling fans on the front. Cooler Master ensures performance of cooling will not be inferior with the solid panel in front of the chassis. The top and bottom trim of the MasterBox Lite 5 can be customized using 3D printing to print out trims in different colours. Cooler Master is also expanding its community for a more collaborative development on their existing cases. You can find other 3D printable designs for the MasterBox Lite 5 and other cases through community collaboration along with Cooler Master. The MasterBox Lite 5 has superior liquid cooling hardware support for high-end setups with AIOs or custom liquid cooling. The front can support up to 360mm and 280mm radiators with maximum thickness of 50mm without fan. The case supports graphics cards as long as 400mm which is pretty much all existing consumer graphics card available today. Visit the Cooler Master website for more information on the MasterBox Lite 5 chassis.